What is Sikh Dharma? While many of the members of the HGRD community are Sikhs, meaning seeker of truth, it is not a requirement to be a Sikh to live in the community. The Sikh religion began in India a little over 530 years ago. Since then Sikhs from the Punjab region of India, who make up less than 2 percent of the population of India, have migrated throughout Europe, the Americas, and Asia, numbering about 23 million worldwide. It wasn’t until the early seventies, when Yogi Bhajan came to the United States, that many Americans adopted the Sikh religion, being attracted by its egalitarian, scientifically-based, and monotheistic teachings that respect all religions. Sikhs do not strive to convert people but they participate enthusiastically in outreach activities and contribute to their surrounding communities. The Sikh teachings encourage people to live their lives in service to others, but not as beggars or in poverty. Instead they believe in creating abundance, peace, and prosperity throughout the earth, serving humanity and building interfaith dialogue and cooperation. Sikh Dharma International is a recognized non-profit 501c(3) religious organization in the United States and an effective vehicle for spreading the teachings of the Sikh Gurus in every direction of the globe. HGRD Corporation is a non-profit 501c(3) organization that serves the needs of the local Sikh sangat. Sardarni GuruAmrit Kaur Khalsa holds the office of the Siri Sikdar Sahiba, Chief Spiritual Minister for Sikh Dharma International and Siri Singh Sahib Corporation. She serves with the Bhai Sahiba as the authority on the teachings of the Siri Singh Sahib, and promotes devotion to the Shabad Guru. She serves to uphold the quality of spiritual practice and addresses the Khalsa Council and larger Sikh community at key events each year. Bibiji Inderjit Kaur Khalsa, PhD was the wife of Siri Singh Sahib Bhai Sahib Harbhajan Singh Khalsa Yogiji for 52 years and holds the position of Bhai Sahiba or Chief Religious Minister of Sikh Dharma. The Bhai Sahiba is responsible to advise the Siri Sikdar Sahiba, Sikh Dharma's Board of Directors and the Khalsa Council on religious matters. She is responsible for the perpetuation and standardization of the teachings on the practice of Sikh Dharma as taught by the Siri Singh Sahib. Along with the Siri Sikdar Sahiba, the Bhai Sahiba is devoted to inspiring and upholding the vibration of the Shabad Guru. The Offices of the Bhai Sahiba and the Siri Sikdar Sahiba are responsible to represent Sikh Dharma of the West and promote good relations with the global Sikh community. 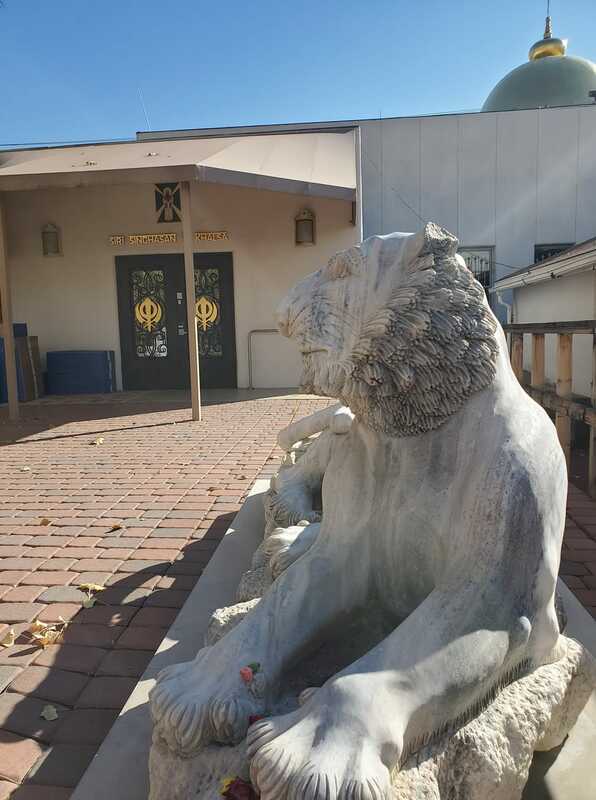 Española is the home of the Khalsa Council, the international body of over 200 ministers who meet twice a year to serve the destiny of the Khalsa and the spirit and growth of Sikh Dharma in the Western Hemisphere. It is our honor to welcome these leaders and teachers who return to our mother ashram each year to deliberate on policy, community outreach, and the expansion of the teachings of Kundalini Yoga and the message of Sikh Dharma for the global community. SikhNet educates and inspires people around the world about the lifestyle and teachings of Sikh Dharma. We are a broadcast channel that communicates what it means to be a Sikh today. At SikhNet we consciously choose to focus on the positive - to spread good news and to create good will towards all. SikhNet provides a safe, neutral place on the World Wide Web where anyone can come and not be judged in any way; where each person is sovereign and free to explore his or her own spiritual evolution and identity. It is a place where Sikh Youth can find support and can access resources to understand the technology of the Sikh lifestyle. Come discover www.SikhNet.com for yourself.